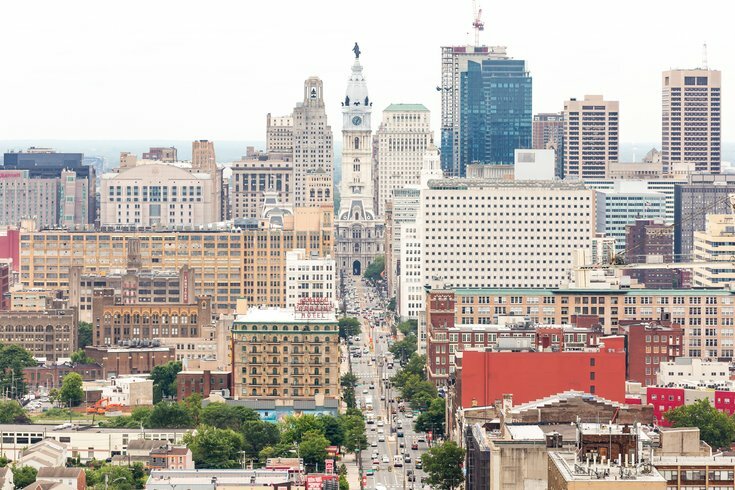 Here are 20 images from PhillyVoice photographer and photo editor, Thom Carroll. As one year ends and the following is set to begin, it's hard to not use this time as the yearly critique of the past 12 months. This is the time of year for nostalgia, reflection and finally, rejuvenation. Philadelphia and the country as a whole have endured a lot over this last year. But with the darkest days of winter now in our past, we can look to the clean slate of the new year to start fresh. 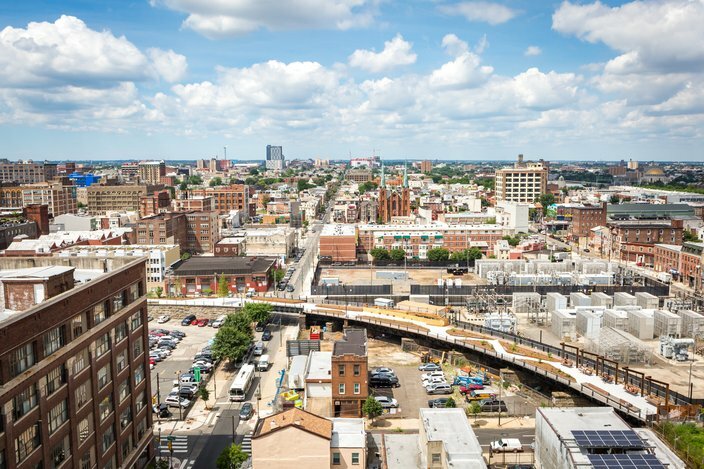 Continuing a personal tradition at PhillyVoice, as the year comes to a close I've put together a collection of 20 of my favorite images, mainly from feature stories around the region, that are sometimes missed amongst the daily buzz of breaking news. 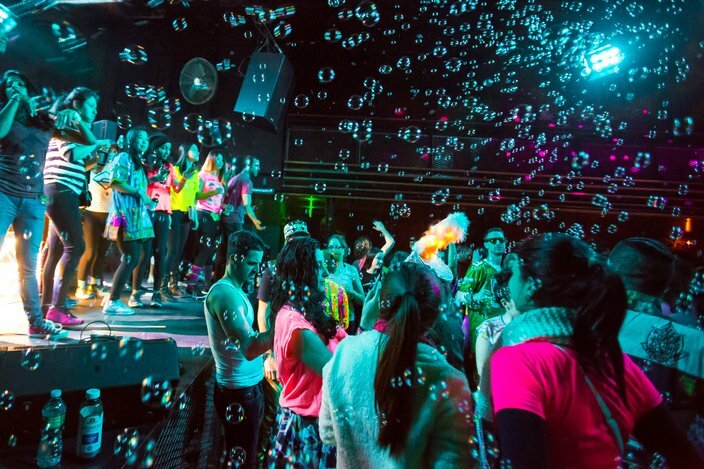 Hundreds of people attended the 6am 'Daybreaker' sober dance party in Center City on Jan. 31. Most arrived a bit sleepy and left a bit sweaty a few hours later. It was an unconventional and positive way to start the day. 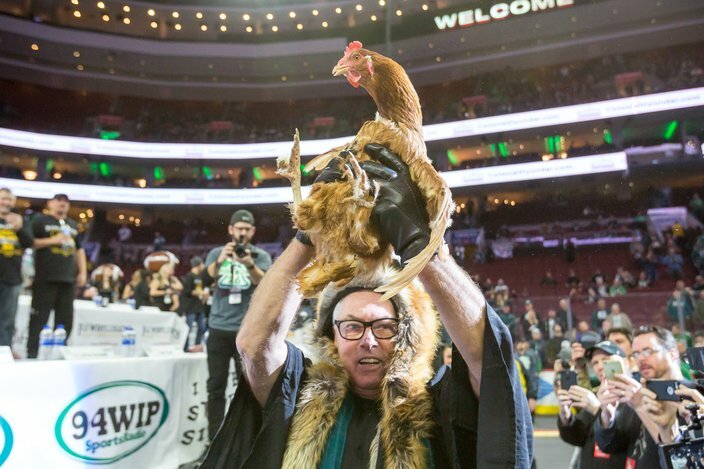 Big Daddy Graham holds up a chicken to start WIP's Wing Bowl 26 Friday morning at Wells Fargo Center, Feb. 2. It was announced in the fall of 2018 that Wing Bowl 26 would be the last. 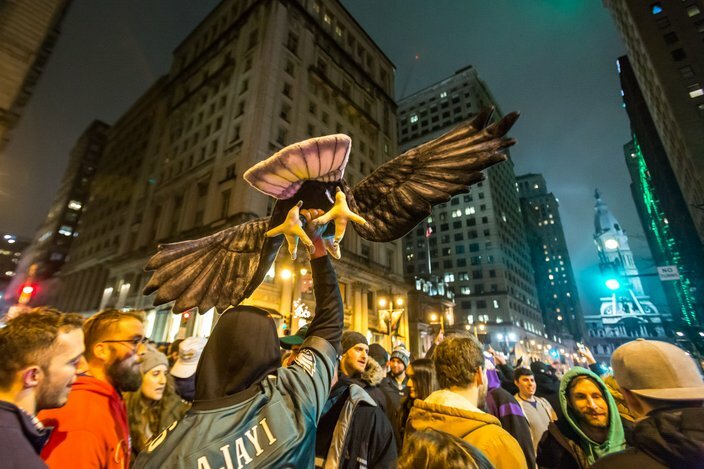 Fans celebrate the Eagles win in Super Bowl LII until the early morning hours following Super Bowl Sunday, gathering en masse on South Broad Street in Philadelphia, Feb. 5. 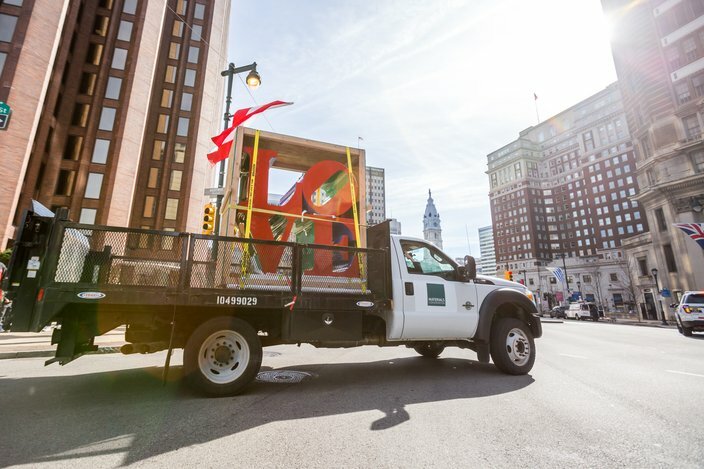 Following months of work to create a newly-designed LOVE Park, a truck carrying the refurbished iconic statue turns onto the Benjamin Franklin Parkway en route to the re-installation ceremony, Feb. 13, 2018. 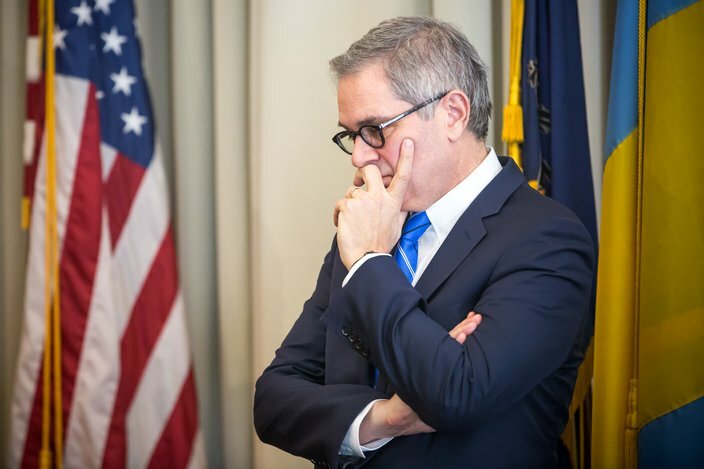 Philadelphia District Attorney Larry Krasner faced many challenges during his first year in office. 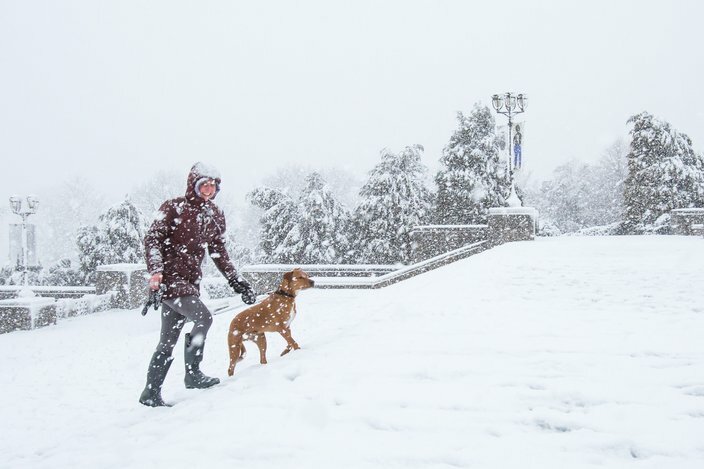 Mariana Bargerson and Mysa of Manayunk / Roxborough run up the steps of the Philadelphia Museum of Art, Wednesday, March 7, 2018. 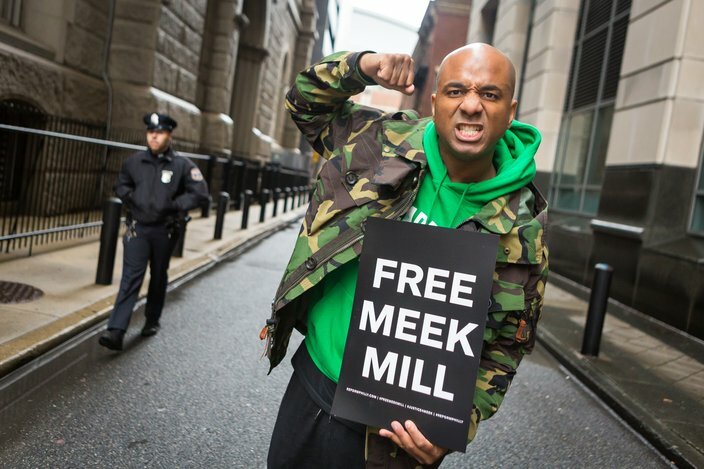 Wallace Peeples, also known as Wallo267 poses for a photo outside the Philadelphia Municipal Court in Center City during a hearing for Meek Mill, Monday, April 16, 2018. 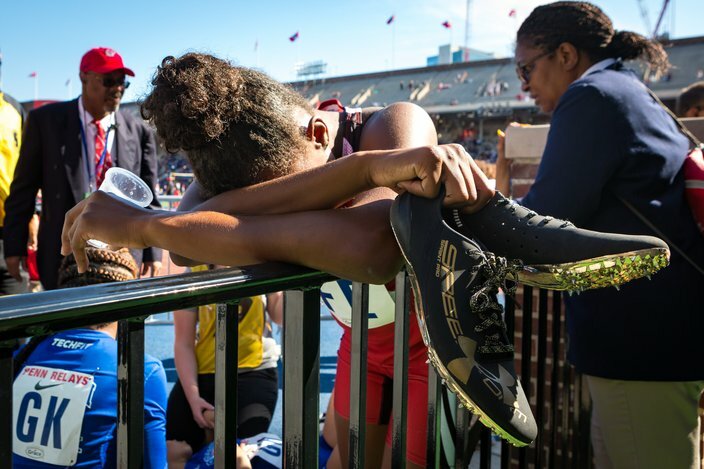 An athlete rests after competing in the 4x400-meter relay, Thursday, April 26, 2018, during the Penn Relays at Franklin Field. 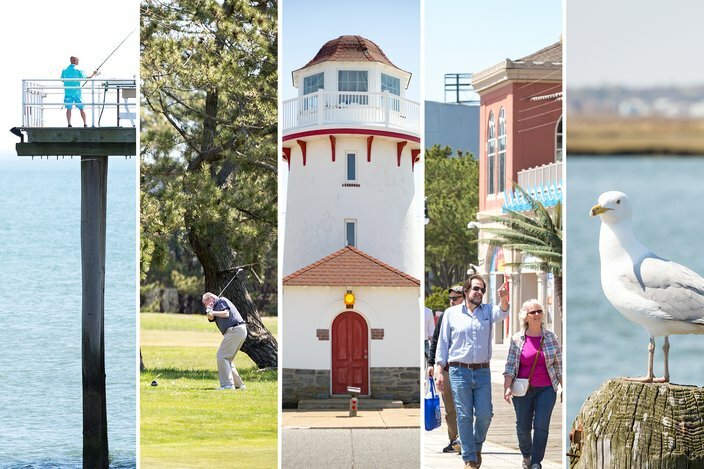 PhillyVoice traveled through many of your favorite shore towns duringthe summer of 2018. The much-anticipated opening of Phase One of the Rail Park occured in the early-summer of 2018. 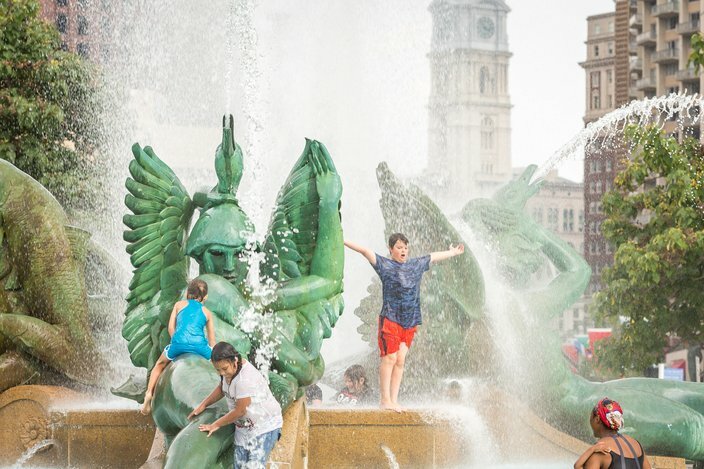 Children and adults play in the Swann Memorial Fountain at Logan Square, Tuesday, as the heat index inched towards 110 degrees, July 3, 2018. 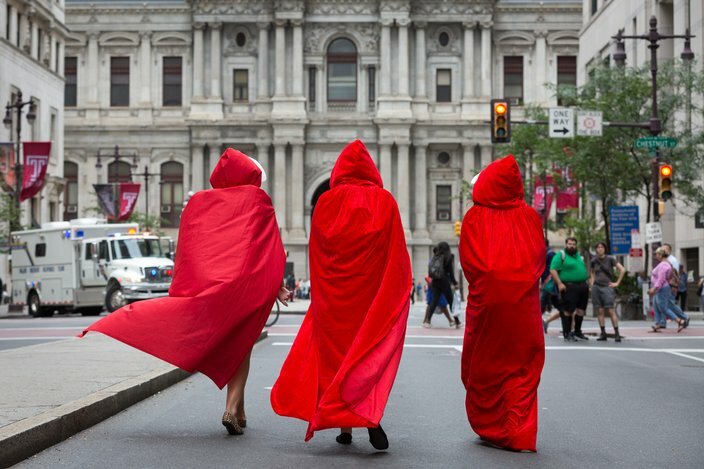 Three women wearing red capes seen in 'The Handmaid's Tale' walk along Broad Street ahead of Monday afternoon's protest of Vice President Mike Pence. 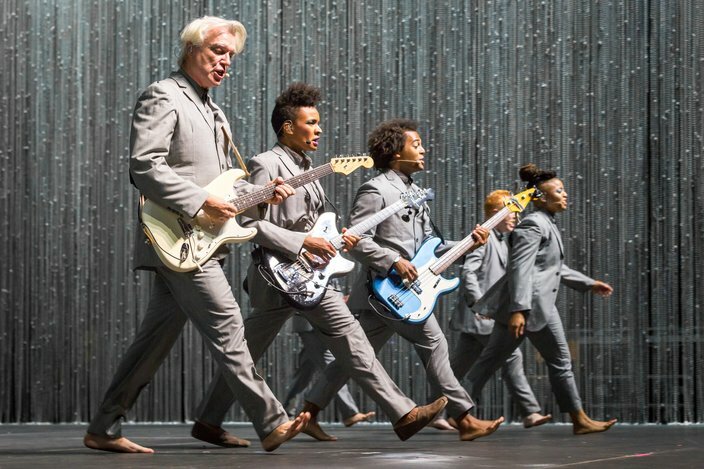 David Byrne of the former American new wave band, Talking Heads, headlined Friday night of the 2018 XPoNential Music Festival, with completely wireless band, allowing choreographed movements throughout the stage. 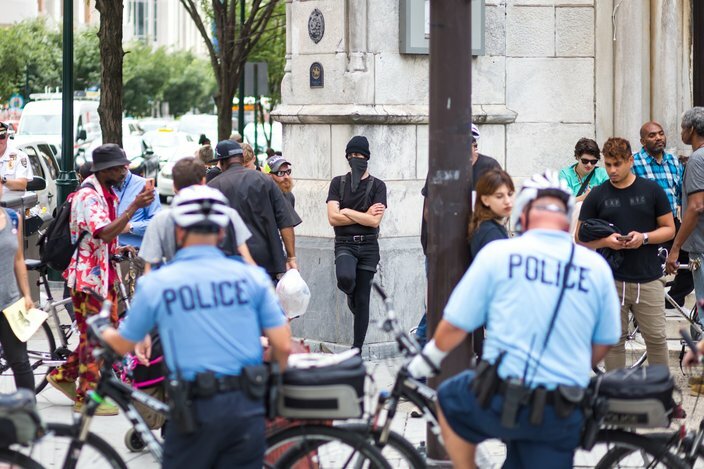 Protesters at the intersection of Broad and Arch streets demanded an end to the police Stop and Frisk program and called for the Berks County Residential Center, a family detention center operated by ICE, to be shut down, Tuesday, July 31, 2018. Tensions rose this summer as the Trump Administration implemented many controversial policies on immigration and the treatment of migrant families. 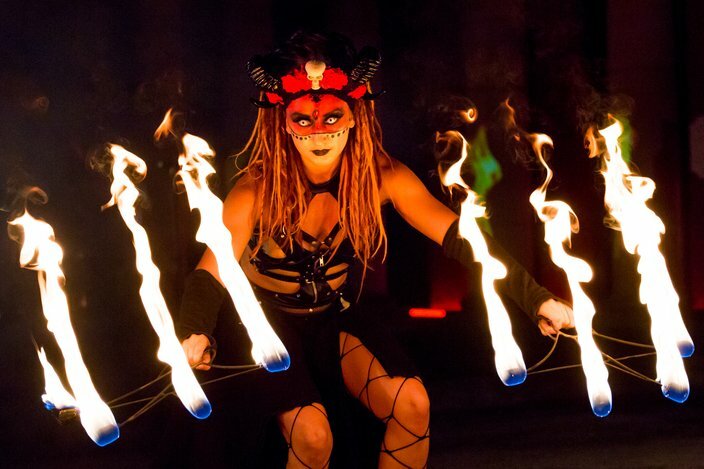 Laura Rennegade performs with fire fans at the annual Ghostly Circus, Friday, Aug. 10, 2018, at Laurel Hill Cemetery. 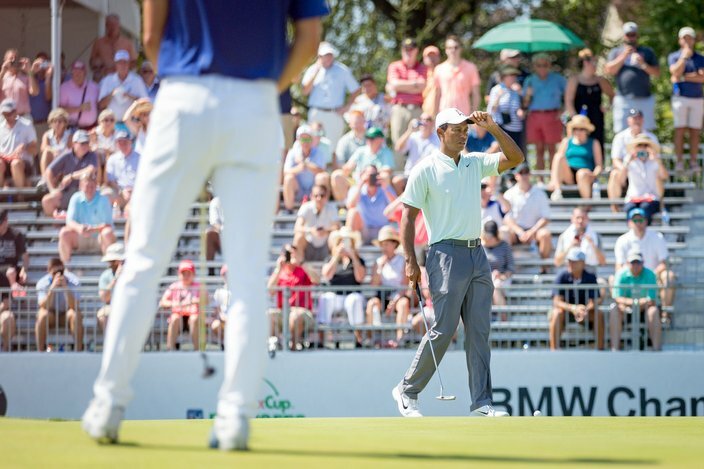 Tiger Woods approaches his par putt on the 14th hole Thursday, Sept. 7, in the first round of the BMW Championship at Aronimink Golf Club in Newtown Square, PA. 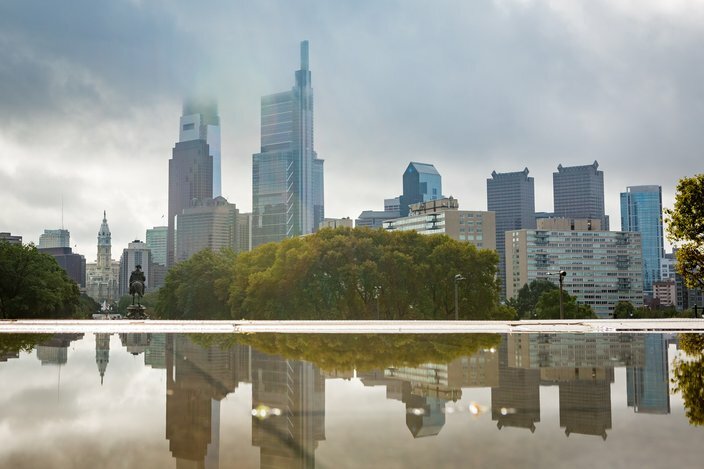 The Philadelphia skyline reflects from a puddle after a recent early-morning rain storm. The Philadelphia Bourse has just undergone a major, multi-million dollar renovation. 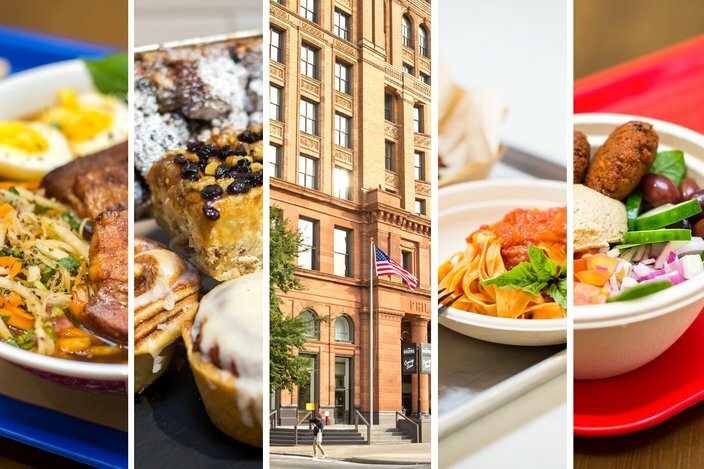 Here's a first-look photo guide to the many vendors that have already started serving, two weeks before the grand reopening. 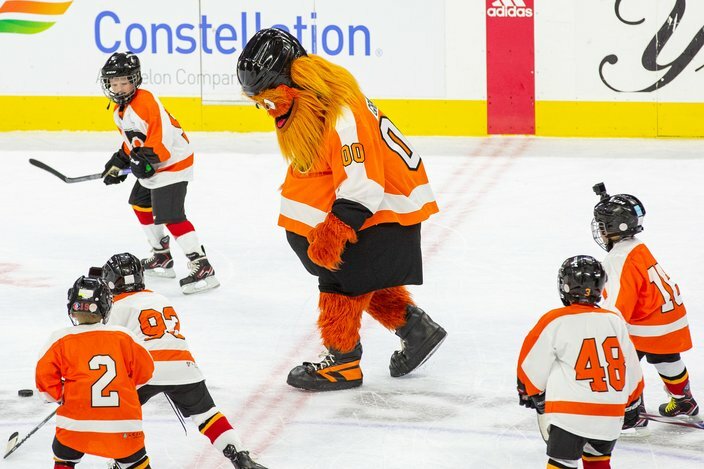 The Philadelphia Flyers mascot, “Gritty,” scrimmages with the Mites on Ice during a game at the Wells Fargo Center, Nov. 8, 2018. We re-photographed 10 images of Philadelphia during the holidays over the past 100 years. 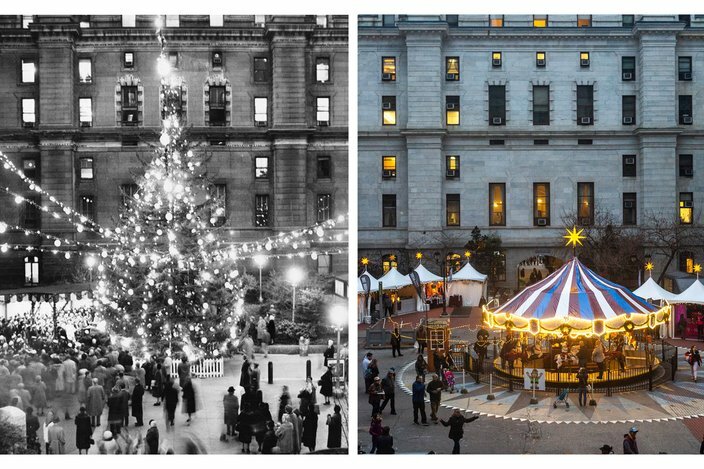 Some of the changes we found were vast, unlike the scene in the City Hall courtyard, which has been used to celebrate for dozens of years.